Fields Trip meet at Holiday Inn Festival Site parking lot to set up car pools. Field trips DO NOT include the cost of park admissions. Please bring radios and sun protection. Bottled water will be available. 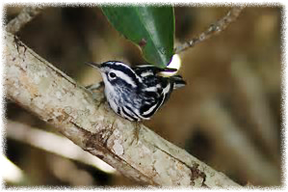 Fall migration can bring lots surprises as we travel the tropical hammocks trails of the Keys looking for warblers and songbirds. But confusing fall warblers can be difficult in that _ of them are with either immature or female. 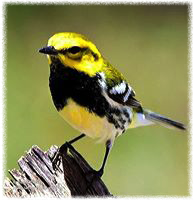 We will use a variety of skills to work such as behavior, habitat and song, along with field marks to make warbler i.d. easier. Meet in the Holiday Inn parking lot. Bring radios if possible. What's the difference between a tern and a gull, or a sandpiper and a plover? 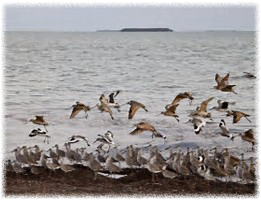 This field trip will head to the Florida Keys famous beaches to learn the basic identification of shorebirds, gulls and terns. Explore their variations and sort through some of the subtleties of their shapes and behaviors in the field with a top Ornithologist Adam Kent. 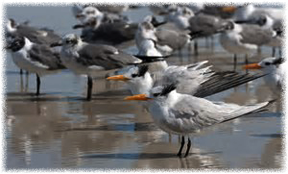 Have fun learning identification and natural history of the common but often difficult-to-identify fascinating birds of the beach. Meet in the Holiday Inn parking lot for carpooling. Bring radios if possible. 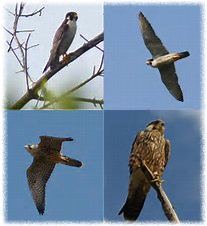 We will search the skies for kettles of migrating raptors such as Merlin, Peregrine Falcon, Cooper's, Sharp-shinned and Broadwing Hawks, Learn the importance of silhouette as the major identification clue. Also the importance of the difference in flight behavior-flap, flap, glide, soaring and straight flight with great speed. This field trip will include a visit to the Florida Keys Hawk Watch station to see scientist at work at the record setting Peregrine Falcon migrating "capital of the U.S.". Meet in the Holiday Inn parking lot for carpooling. Bring radios if possible. 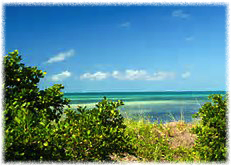 Description: This 15-acre site offers one of the richest birding experiences in the lower Keys, with 160+ species recorded. 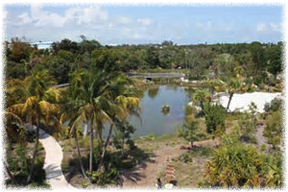 Containing tropical hardwood hammock and the only freshwater ponds on Key West and Stock Island, this property is a magnet for resident species such as White-crowned Pigeons and Black-whiskered Vireos. 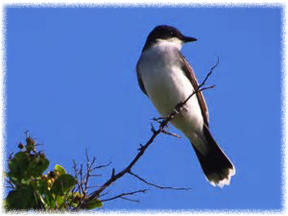 Check the large trees at the entrance for eastern and Western Kingbirds and Scissor-tailed Flycatchers. 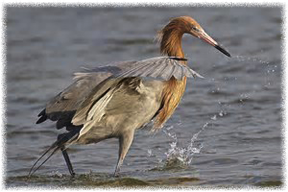 Join Research Ecologist, Gina Kent to see what it takes to trap, tag, and track two of Florida's imperiled species: Reddish Egret & Great White Heron. Get "in the field" to observe these birds and learn about the research methods and equipment used to understand important conservation issues. 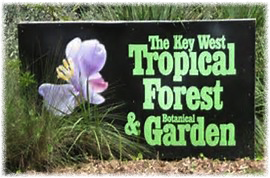 This field trip will also include general birding in places like Cudjoe Key and birding from the road on Big Pine. Meet in the Holiday Inn parking lot for carpooling. Bring radios if possible. 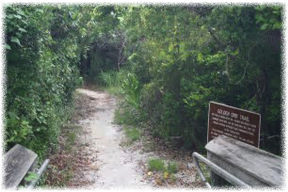 "Two nature trails and a mile of natural shoreline provide easy access to mangrove swamp, rockland hammock, mudflat, beach and coastal berm habitats. 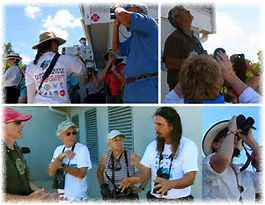 The 1.25 mile Golden Orb Trail has enticed birders with rarities such as the Key West quail dove (2014-2016) and the Zenaida Dove (2016). 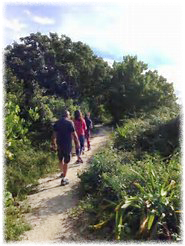 The trail passes through mangrove swamps where mangrove cuckoos call, and hammocks which provide foraging areas for white-crowned pigeons. Even the parking lot edges can teem with warblers, vireos, and night heron. 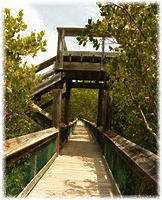 The shorter Layton Trail (.25 miles) leads to the Florida Bay through a healthy rockland hammock. Along the shoreline, keep an eye out for the reddish egret white morph and wintering piping plovers. 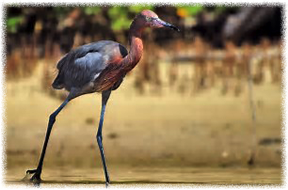 Search a variety of habitats-tropical hardwood hammock, beach shore, mudflats and beach shoreline to see the greatest variety of birds. Learn how the feeding behavior of shorebirds can be key to identifying these difficult "grey moving rocks". 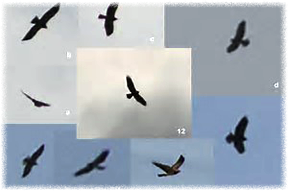 If possible we will see how the flight behavior of hawks can also add in their identification. Meet in the Holiday Inn parking lot for carpooling. Bring radios if possible. 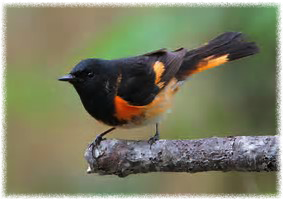 Join Paddy Cunningham to bird at nearby Curry Hammock State Park with many opportunities to find a variety of birds. A visit to the Hawk Watch station to see Scientist in action as we learn first-hand about Hawk identification. Learn the importance of silhouette as the major identification clue. Also the importance of the difference in flight behavior-flap, flap, glide, soaring and straight flight with great speed. There should also be shorebirds to see and identify. A brief walk in the hammock for any warblers and songbirds in migration. Meet in the Holiday Inn parking lot for carpooling. Bring radios if possible. Description: This site is the Peregrine Falcon capital of the World! 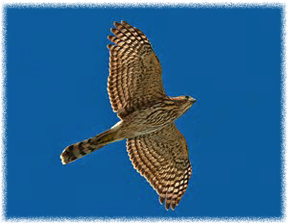 Between mid-September and early November and you can join in the official raptor count for the Keys! Hawkwatch staff interpret the migration to visitors, while counting off the thousands of raptors that pass by the viewing area each fall. 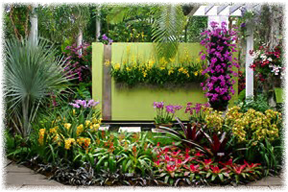 This site offers a one-of-a-kind experience during this particular season.